Part No. 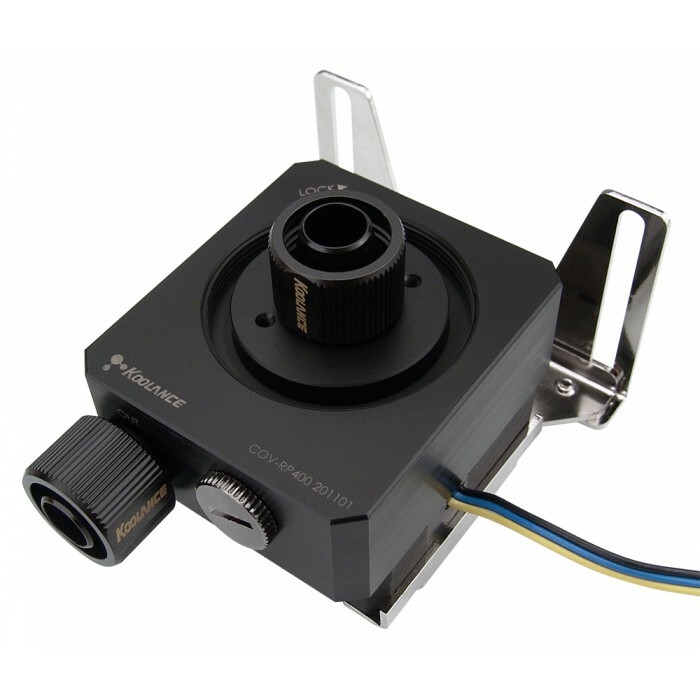 COV-RP400 In Stock Fedex orders placed now will ship on April 23rd. 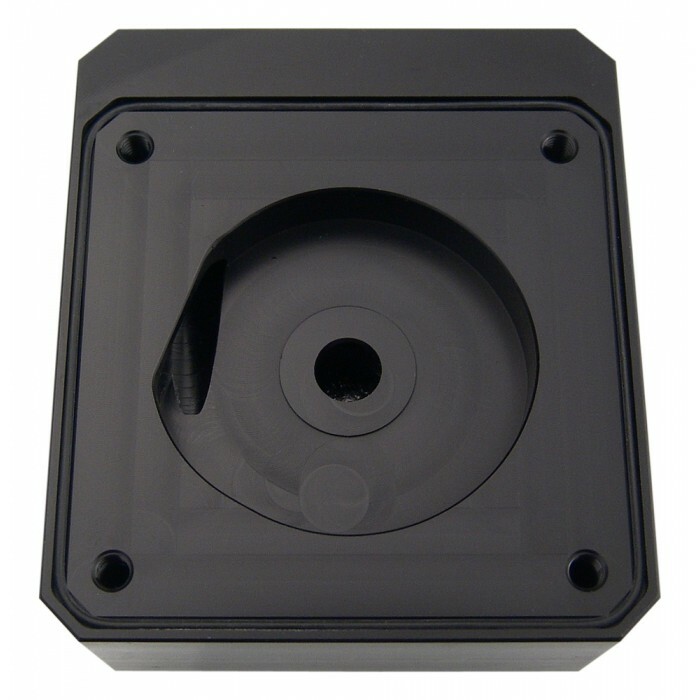 COV-RP400 is an acetal fitting and reservoir base for the Koolance PMP-400 pump. 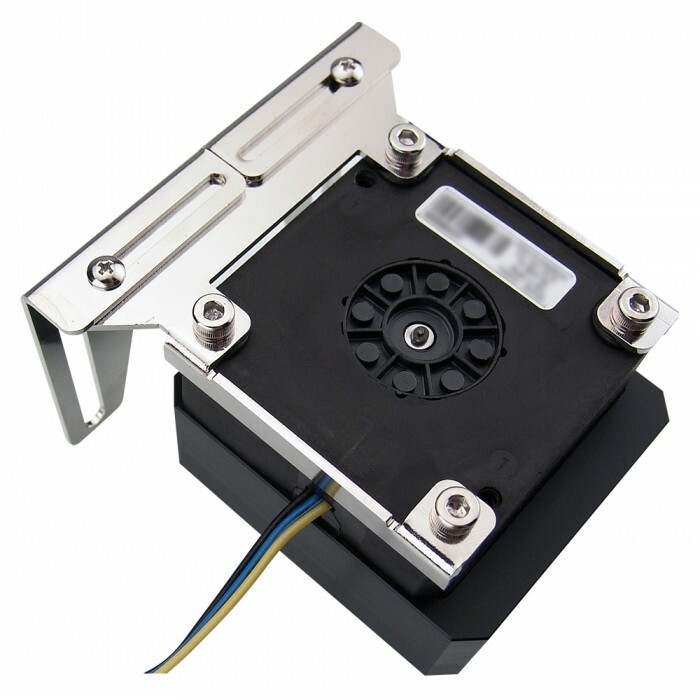 Pump, reservoir, and fittings are sold separately. Along with enabling the use of any G 1/4 BSPP (parallel) thread fitting style and diameter, it allows flow to be specifically directed for increased pump performance or broader chassis integration. 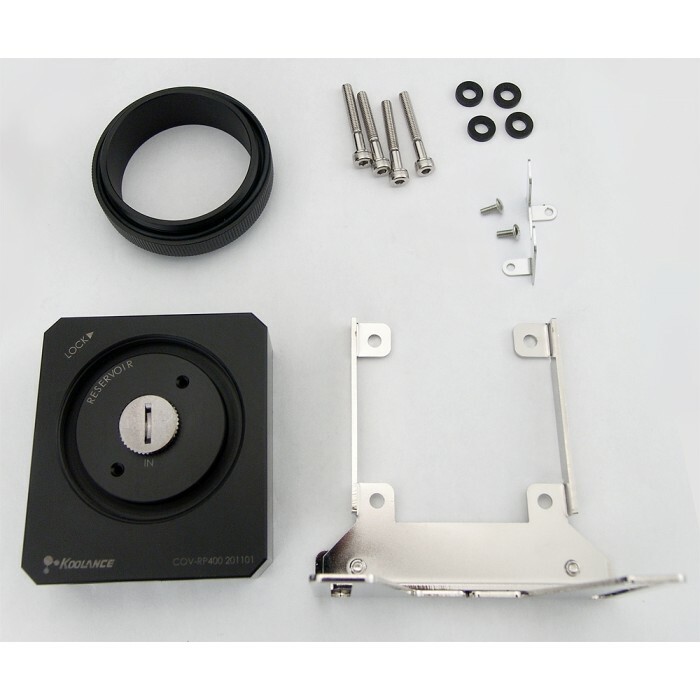 Fitting base, mounting bracket, coupler for 60mm OD reservoirs, socket plug, and mounting hardware is included. Koolance 60mm OD acrylic reservoir bodies can be directly connected to the COV-RP400 by using the included reservoir coupler. 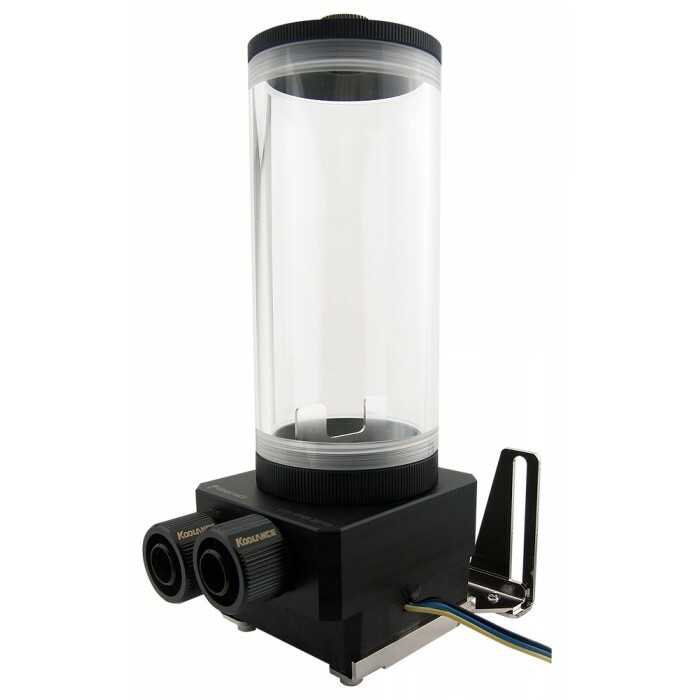 For 80mm OD reservoirs, use separate reservoir thread adapter TNK-CNT50T70.